Picture was taking fairly quick. I think I need better lighting; I need to make something I can take photos of small objects in. Looks like someone was having a slow day, or perhaps it was raining outside! 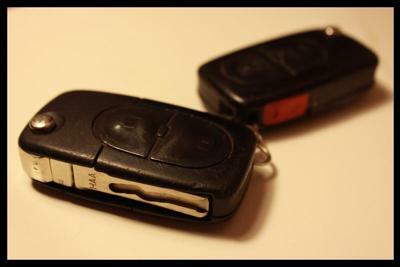 Whatever the reason for taking a photograph of some keys, there are plenty of tips we can share to help Billy out. First of all, good depth of field. Although, if you are thinking of taking photos of objects like this for something like Ebay then it would be better to close down the aperture on your camera to get enough depth of field to keep the whole of the subject in focus. Read more about understanding aperture, and using depth of field. But back to those keys . . . there are two things that strike me about this. Firstly, the colour balance. Colour balance is to do with whether the colours in a picture appear accurate or not. Billy's photo for example is too peachy in colour. My guess is that he took this photo inside, with the lights on. If possible it is better to take photos like this using natural light (from a window if indoors). That way the colours will be more natural. However, despite this, a little post processing will bring this photo back to its true colours. A little tweak of the colour balance slider in almost any image editing software will correct things. 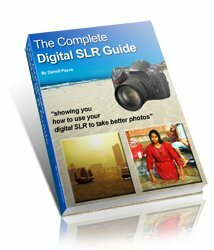 To find out more about image editing have a look at this downloadable course. Billy raises another question – how to take good photos of small objects. The difficulty is that you want the object to be nicely illuminated (from all sides); but you can't really use your camera's flash on small objects like this. One neat trick is to place the object in the bath (without water!). Providing you have a white bathroom suite you will get reflected white light on all sides. As an alternative, you can make your own light tent. This is just a frame made into a cube that is then covered with some white material. The material has to be thin enough to allow plenty of light through – pure white thin cotton will work well. The material diffuses the available light so you end up with a nicely lit photo. These can be used outside on sunny (or even shady) days. You can buy light tents online if making one is too tricky. Thanks for the submission Billy, and I hope this helps.